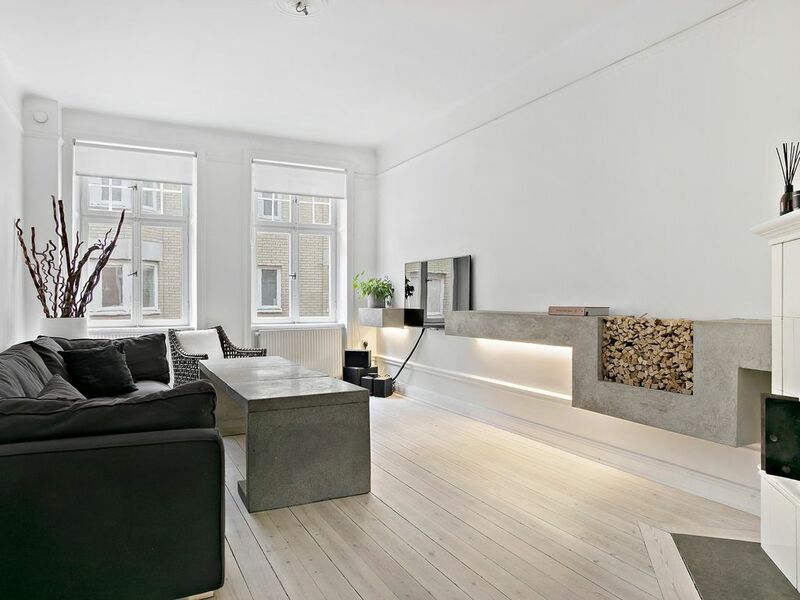 The property is situated on the central yet calm street Luntmakargatan - close to Odenplan and the vibrantHötorget. The apartment is bright with a balcony, newly renovated with concrete walls and 19th century wooden details. The area is at the city center yet close to parks and close to the waterfront and the Haga park area. Location is key when you come visit a city and I really like how the apartment and area manage to offer both the calmness and green areas along with a closeness to restaurants, pubs and shopping. The bathroom is newly renovated with grey and white tiles and modern details. Equipped with a WC, sink and shower. About 20 minutes from the apartment is Hagaparken and the beautiful walk along the water front. The apartment is tastefully decorated, Nordic minimalist with concrete walls. The apartment is well suited for you travelling as a couple or family/group. The kitchen enable you to cook your own food if you don’t feel like eating out all meals but if you do; there is plenty of good restaurants in the area! The apartment is located close to main shopping street Drottninggatan and is close to pub, restaurants and shopping, Closest grocery store is about 5-10 minutes walk, also the alcohol shop "Systembolaget" is close to the grocery store. Pharmacies and restaurants/cafés can be found around the block. If one is looking for more shopping and food experiencies; vibrant Östermalmstorg is 20 minutes walk away (or two stop with the metro) were you find "Östermalmshallen", a few of Stockholm's most iconic restaurants such as Prinsen, Riche and Sturehof and also shopping; both main stream and high end. The area in which the apartment is situated is calm and close to green parks for walks or jogging, also fairly close to the waterfront and The Haga park.